The other day I was searching for information about the Millennial Temple. I came across a YouTube video, but got more than what I bargained for. The teacher insisted that Paul was a gnostic. He said that sin cannot live in the presence of God because He is Holy. Since Paul taught that the Holy Spirit dwells in man, he must have been a Gnostic. After researching Gnosticism, I’m not sure how he arrived at this conclusion. However, this set me off on a search into how the holy presence of God can dwell in sinful man. An initial read of the Torah seems to support this man’s teaching. God is Holy and man is polluted by sin. So how could God dwell within sinful man? To answer this, we must look deeper into Torah and understand what the daily sacrifice accomplished. God’s presence dwelt in the camp of the Israelites. If a person was unclean, he was put out of the camp. Once cleansed, they could return to the camp. That makes sense. However, there are times when man sins without knowing it, right? And there are times when man is exposed to something unclean. So what happens then? Are we consumed by fire like Nadab and Abihu ? That’s where the mercy and grace of God comes in. 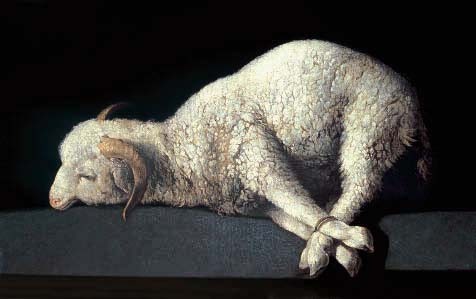 Because He knows us, and our sinful ways, He instructed the Israelites to sacrifice a lamb in the morning and the evening. There was a continual sacrifice burning on the altar because God’s presence was with them. So how can the Spirit live in us without the continual sacrifice? That’s the best part! In all that I read in the sages of Israel, I see that there is an expectation to return to the Garden of Eden. There is longing for the day that God will walk and talk with us in the cool of the evening. We know that God has that same desire. After all, this is why He created us – for relationship. And relationship is best experienced face to face. 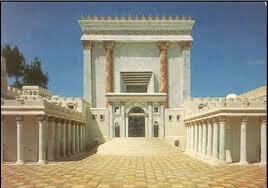 But without living in Jerusalem and without a temple and without a sacrifice, how is that possible? Nothing is impossible for God. He made a way where there was no way – through the blood of the Lamb who died once for all. You see, a sacrifice is still required. God is still holy and we are still prone to sin. But Jesus’ sacrifice is continually before the Father. By the Blood of the Lamb we are continuously cleansed and able to be in the presence of the Most High. But is that where the story ends? Not at all. If we remember the lesson of Nadab and Abihu, we understand that being in the presence of a Holy God should not be taken lightly. And our teacher Paul (who was certainly not a gnostic) clearly understood that. He knew and taught that the blood of The Sacrifice stands continually before the Father, making it possible to for God to dwell with man. 6 Responses to Was Paul a Gnostic? Very good post and very easily understood. Thank you. Interesting post. Certainly, anything found on the internet should be substantiated. Paul most certainly dealt with a threat of gnostic thinking in the early church. So did the Apostle John. But Paul was a trained Pharisee in background. His arguments in Athens and Ephesus, seats of gnostic teaching at the time were in opposition to gnostic thinking. Glad you brought this out. When we truly understand context the content of the Bible has a much clearer relevance and application to our lives today. I am so glad you pointed out Paul’s position as a Pharisee, Coach. Too often we assume he started a new religion after he met Jesus on the road to Damascus. If we would realize he was Torah observant all his life (as evidenced in the book of Acts), we would read his words with a different understanding. Excellent observation. Consider this as well, Paul spent three years absorbing a HUGE change in his beliefs because of a very personal encounter with the Son of God. His beliefs were tested in the fires of doubt cast by the Apostles when he did emerge. If he was a gnostic he would of been identified then as well. In studying the beliefs of Judaism with regard to the Messiah, I really don’t think Paul experienced a huge change in his beliefs. In fact, I think his faith was realized in Jesus.